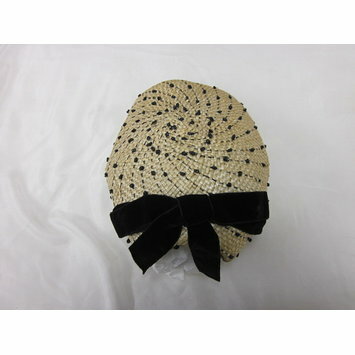 White and black straw cap trimmed with black jet beads and velvet ribbon. 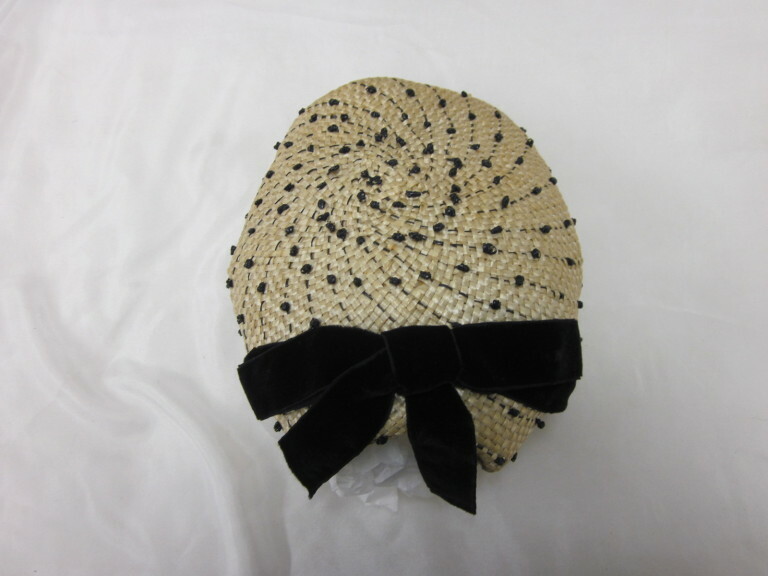 Straw cap, designed by Halina Kern, possibly made in France, ca. 1950.